Otherwise known in French as the “Murs d’Expressions”, Parisian Street Art has revolutionized the art scene in Paris. Throughout the city, on street corners and down alleys, street art abounds. Street art, an artistic urban expression that used to involve sneaking around to avoid the ever-watchful eyes of the police and security cameras, has become so popularized that it can be found museums, art galleries and schools of art. Now an excepted form of art, the real bonus from street art is it accessibility. It is free to be seen by hundreds of thousands of people as they go about their day, in comparison to the few that might just visit an art gallery or museum. Parisian Street Art can even be found in certain train stations as a result between a partnership between SNCF and Quai 36, a contemporary art museum. With the first wave of street art appearing in the 1980s, Parisian streets are now adorned with various styles of art pieces that range from the small mosaic tile pieces put out by Invader (he even has an app for tracking them), to those gigantic XXL murals (neo muralism) funded by the government that adorn the high-rise apartments around the 13th arrondissement bringing interest to where there was little architectural or historical value. Who are the Parisian Street Artists? The Parisian street art movement has brought not only locals to delight us with their art, but also international artists. Check out my Pinterest board where you will find the famous Levalet, the video game-inspired pixel tile work of Invader, and even Kashink – one of the few female street artist to date. But don’t dismiss the lesser or unknown artists, that’s part of the beauty of this art movement. The beginnings of Parisian street art, in fact all street art, traces straight back to the graffiti and tagging found on streets worldwide. It arose from inner-city neighborhoods as a venue for self-expression. But we can trace graffiti even further back. There is graffiti etched into the walls of centuries old buildings. It is found on ancient roman structures. Man has left messages on walls since he has existed, consider for example the cave drawings left by primitive man! Part of the draw that one can receive from street art is due to its unexpected placement in public, where it is likely juxtaposed against both modern and historical architectural and street features, or incorporated into signage and advertisings. What began anonymously and illegally as tagging and graffiti, has emerged into the street art we know today – art pieces that are commissioned and proudly signed by the respective artists. Street art is a subset of graffiti and tagging. Look at the unique artwork and reflect on the hidden messages of each mural. Seeing past the scribble on a wall and cultivating an understanding of the message beneath is a goal when viewing Street Art. As such, the main difference between street art and graffiti or tagging is word vs image plus the intention of the artist. Graffiti is directed not towards the public, but to other similar artist who might appreciate the artistry in the styling of the writing (“throwies” or “fill-ins”). Using the streets as their canvas is a statement against the existing establishment, being illegal further gives it its counter cultural edge. Placing their art in extremely hard to reach places gains them even more notoriety, the more dangerous to reach the better. 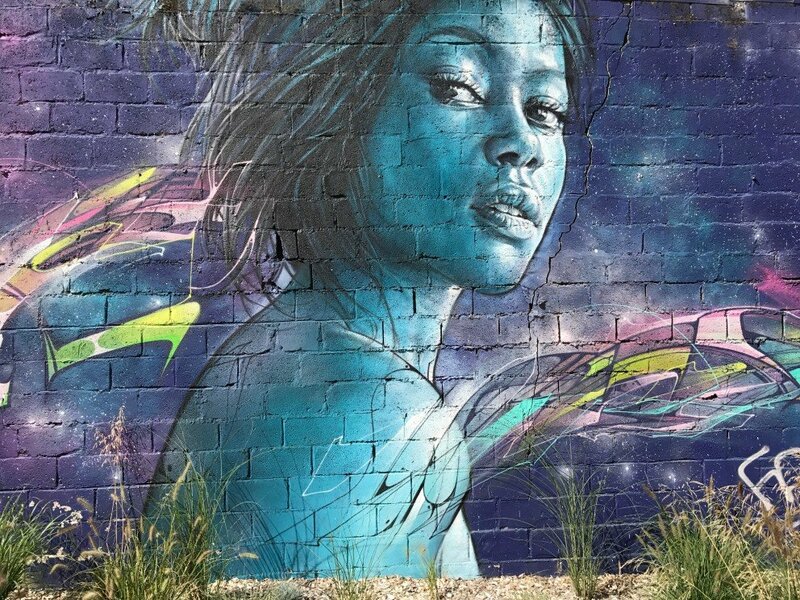 Street art on the other hand is image based, aims to take away preconceived ideas of who is an artist and what art can be, it appeals a much wider audience, and delivers a message (frequently political). Street art aims to capture the public’s attention and solicit an emotional response. Street art raises the simple spray paint can to whole new level far beyond what a tagger would ever consider. A street artist may create pieces that use other materials such as large stickers, stencils, wheat paste posters, mosaics, wall sculptures, reverse graffiti, or even the fascinating yarn bombing the juxtaposition a traditional craft placed within an urban environment. Street art is often appreciated, graffiti and tagging are seen as destructive. Street art is tolerated, painted with permission, or even commissioned. Graffiti and tagging are both illegal and carry fines. Street art is relatable, graffiti and tagging are not. Where can I find street art in Paris? There are many places to find great street art in Paris…but my best finds are usually found as I bop around town not looking for anything in particular. That being the case, if you are on limited time and want the short list the majority of the best and the most grand-scale works are found in the 13tharrondissement, and in the northeast in the neighborhoods of Oberkampf, Belleville and Ménilmontant. Remember street art is a moving target, it can change daily so don’t miss out! Best areas to view Street Art in and around Paris? Best streets in Paris for street art? Rue Denoyez – is this still true? Other ways to experience Parisian Street Art? Re-enact “Chuuuttt!! !” (Hush!) , an XXL mural by artist Jef Aérosolat the Place Igor-Stravinsky depicting the face of a man holding his finger up to his lips inviting onlookers to pay attention to the life around them. Go ahead, take a selfie! Check out the bouncy yellow cats by Monsieur Chat on the shutters of the BHV Department store while shopping for some souvenirs. Visit Le Mur, an association founded in 2003 to promote contemporary art invites a new artist to transform the open-air wall every few weeks covering the previous artists work (over 270 artists to date). Take a tour with Paris Street Toursin Belleville. Get down and dirty and see how you compare with the best street artists with a hands on workshop offered by www.streetartparis.fr. Attend a street art festival: L’été du Canal de l’Ourcq, Kosmopolite in Bagnolet, or Festiwall along the Canal Saint-Denis’. Visit a street art museum: Quai36.com, Art42.fr, or L’Aerosol which houses works by Invader, Banksy, Shepard Fairey (and also featuring a skate park, food trucks and pétanque). Get a guide book: Paris Street Art Guide by Stephanie Lombard (8 routes and neighborhood info), or Le Guide de l’art contemporain urbain 2018. Order a magazine subscription from the Paris based Graffiti Art Magazine. Download the app “Flash Invaders” by iconic street artist Invader and track his pixel video game inspired tile art pieces throughout Paris (and the world). You get points for each photo uploaded depending on its size and location. If you love street art, then you just might be interested in another art form – check out my post “Unicorns in Paris“. Levalet is one of my favorite street artists, which artist speaks to you the most? Did any photos evoke an emotion? Did you notice any political messages? This is a fabulous resource for anyone looking for street art in Paris, well done GGG! I came across it while updating my post on Paris for teenagers (where I found a broken link to an old article of yours) so I’ve updated my post with a link to this. Thank you Phoebe! It was a lot of fun writing and doing the research for this article.